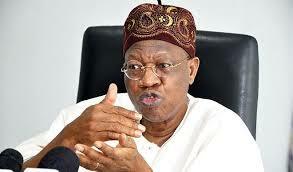 The Minister of Information and Culture, Alhaji Lai Mohammed, has urged Nigerians to resist the temptation of voting for those who will return the country to throes of massive looting, come 2019 elections. Mohammed made the appeal on Tuesday in a Sallah message delivered at a media briefing at his home town, Oro, near Ilorin in Kwara. “The year 2019 is the year of decision for Nigeria. Mohammed appealed to Nigerians to be vigilant and not yield the space to naysayers, adding that the gains made by the President Muhammadu Buhari-led administration in the past three years must be preserved. The minister thanked Nigerians for their perseverance support for the administration and gave an assurance that their sacrifice for the nation would not be in vain. He expressed optimism that with the support of the people, the 2019 elections would be a walkover for Buhari and the ruling All Progressives Congress (APC). “As we approach this critical fork on the road, I have no iota of doubt that the good people of Nigeria will choose the path of development, having seen the commitment, sincerity and patriotism of this administration. “It is clear, from all indications, that Nigerians are not going back to Egypt. Mohammed noted that the fear of Buhari’s impending victory in the forthcoming elections explained why naysayers and looters had been running from pillar to post and desperate to thwart the victory of the APC. On why Buhari should be returned to power, the minister said that the administration had done what no other Administration had done in the history of Nigeria. He said the APC government was putting the country firmly on the path of sustainable growth and development in all areas, including infrastructure, economy, agriculture and the fight against corruption. “While the trend in Nigeria had been to put money in the pocket of a few to the detriment of the masses, this aadministration has embarked on a massive redistribution of the nation’s wealth. He said the administration had embarked in unprecedented massive infrastructural development. “The whole country is one huge construction site. Roads are being constructed in all the six geo-political zones. He said the administration had built over 700 kms of roads, rehabilitated about 650 kms and delivering many rail projects. The minister said the administration championed a huge revolution in agriculture, especially with one of national staples, rice. “His Administration has employed 500,000 unemployed graduates under its Social Intervention Programme (SIP). No government in our country’s history has ever done that. “This administration has been daily feeding 8.5 million school children in 23 states and providing N10,000 every two months to over 300,000 families as social security for the most vulnerable. He said the administration had recorded unprecedented feat in the power sector, generating to 7,000 megawatts and distributing 5,000 megawatts. On the fight against corruption, he said the Buhari government had been unrelenting and driving corruption under the table. Furthermore, he said that the administration was confronting the security challenges with uncommon determination. “From Benue to Zamfara, the spate of killings has fallen drastically, though this is not making the kind of headlines made by the killings that were mostly orchestrated by those who are mortally opposed to the administration. Our gallant troops are scoring victory after victory against the vestige of Boko Haram, which has been massively degraded and put on the run,” he said. NAN reports that the minister earlier joined other Muslim faithful to observe the Sallah prayers at the Oro Central Eid ground. The Oro monarch, Oba AbdulRafiu Ajiboye and the Vice-Chancellor of University of Ilorin, Prof. Sulyman Abdulkareem, were among the dignitaries at the prayer ground.